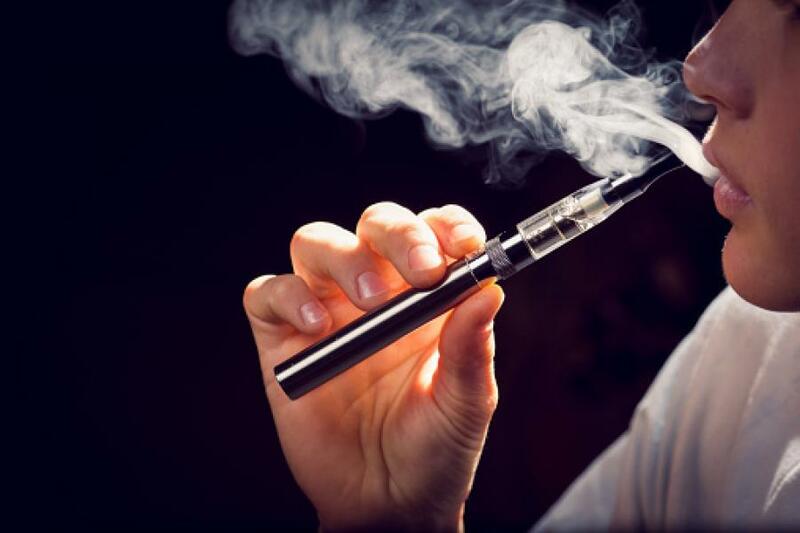 Vaping and e-cigarette use has surpassed conventional smoking to become the number one way that teens and young adults use nicotine. Approximately 20% of middle and high school students report use of e-cigarettes. E-cigarettes are easier to access than conventional tobacco products and can be purchased online without proof of age. E-cigarettes are marketed to young adults through social media and come in appealing fruit flavors. E-cigarettes are odorless and easier to conceal from parents and teachers. E-cigarettes are perceived as safe and non-harmful to health. Before talking to your teen about e-cigarettes, know the facts. Fact #1: E-cigarette vapor contains toxins that are harmful to human health. It is true that compared with conventional cigarette smoke, e-cigarette vapor contains fewer carcinogens, or chemicals known to cause cancer. That said, detectable amounts of formaldehyde, arsenic, and other toxins are still present in low levels in e-cigarette vapor. It is not yet known how low-level, chronic exposure to these chemicals may effect human health. What’s more, certain flavoring additives used in e-cigarettes may lead to serious respiratory diseases. The flavoring agent diacetyl has been associated with a condition known as “Popcorn Lung,” which causes irreversible scarring of lung tissue. Fact #2: E-cigarettes are addictive. Many e-cigarettes contain nicotine, which leads to physical dependence in smokers. Nicotine is also harmful to cardiovascular health and may cause high blood pressure, hardening of arteries, heart attacks and strokes. In teenagers, nicotine can alter normal brain development, leading to problems with attention and impulsivity. Fact #3: Teens who use e-cigarettes are more likely to try conventional cigarettes. E-cigarette use in teenagers has also been associated with high-risk alcohol use and use of other drugs. Anytime is the right time to start talking with your teen about e-cigarettes. Remember, talking with your teen will be a process — it may take several tries and one conversation is rarely enough. Good conversations start with questions. Be ready to listen and avoid preaching to your teenager. Find out what your teen may already know about e-cigarettes. Ask with interest about his/her attitudes and opinions toward vaping. Ask about your teen’s friends or others they may know who vape. If you smoke or used to smoke, be prepared to share your experiences with your teenager. Explain the regrets you’ve had and your difficulties with quitting smoking. Schedule a wellness visit with your teen’s pediatrician or check out the US Surgeon General’s website on e-cigarette use at e-cigarettes: SurgeonGeneral.gov. You will find facts, personal stories and tips for connecting with your teen, including ideas for starting conversations via text.